Before Everbridge, Phillips was vice president of North American Application Performance Management (APM) Sales at Compuware Corporation. 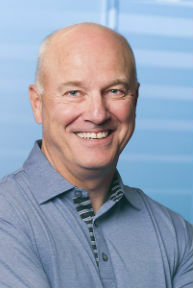 Prior to its acquisition by Compuware, he held a similar position as vice president of North America Sales for Gomez, and prior to that, he served as CEO at Marathon Technologies, a provider of high availability software in the business continuity market. Phillips has also held the position of senior vice president, Worldwide Sales and Services at Avaki, a leading enterprise integration software company, which was acquired by Sybase. Previously, Phillips led sales at Bowstreet, a Web services company, and Interleaf a content management company that was acquired by BroadVision (he served as General Manager for the Americas). Earlier in Phillips’ career he held various management positions at BBN, Wang Labs, and started his career in sales at NCR. Phillips holds a BS in business administration and marketing from Plymouth State College.